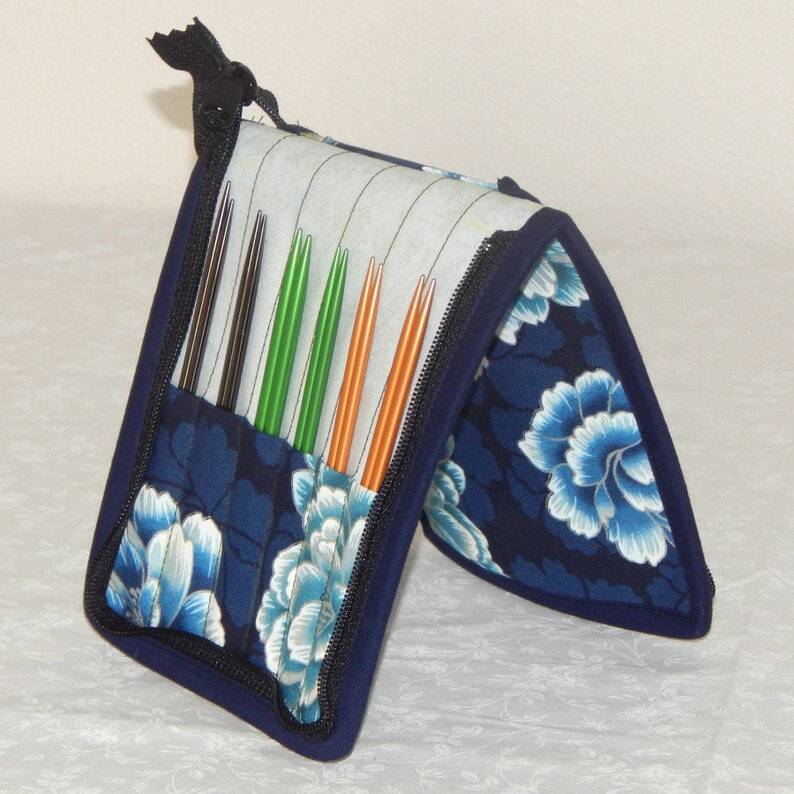 This fun and colorful zippered needle case holds 12 pairs of interchangeable tips from 3.5" to 6.25". Smaller slots are sized to hold tips up to size 9. A center zippered pocket holds cables, stops and a needle gauge. A zipper keeps the case securely closed, making losing a tip virtually impossible. This holder is also great for crochet hooks!